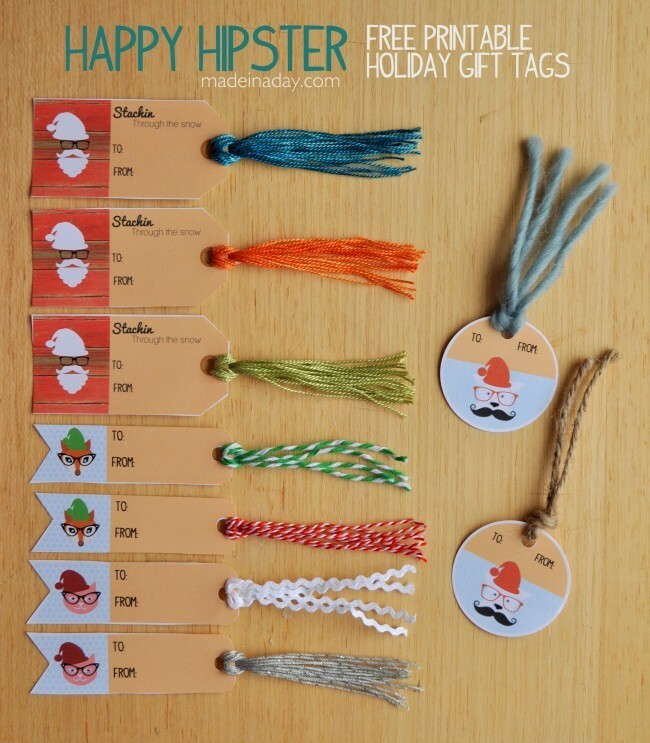 A couple of posts ago I made some cute Hipster Gift Tags for the upcoming holidays. 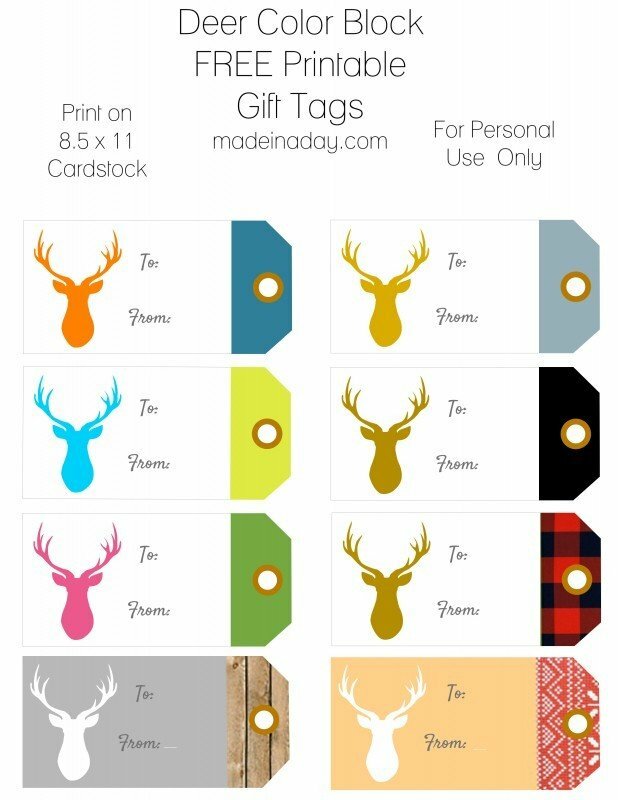 I know not everyone follows that trend, but almost everyone out there can’t resist the Stag Deer theme that doesn’t seem to be going anywhere soon. 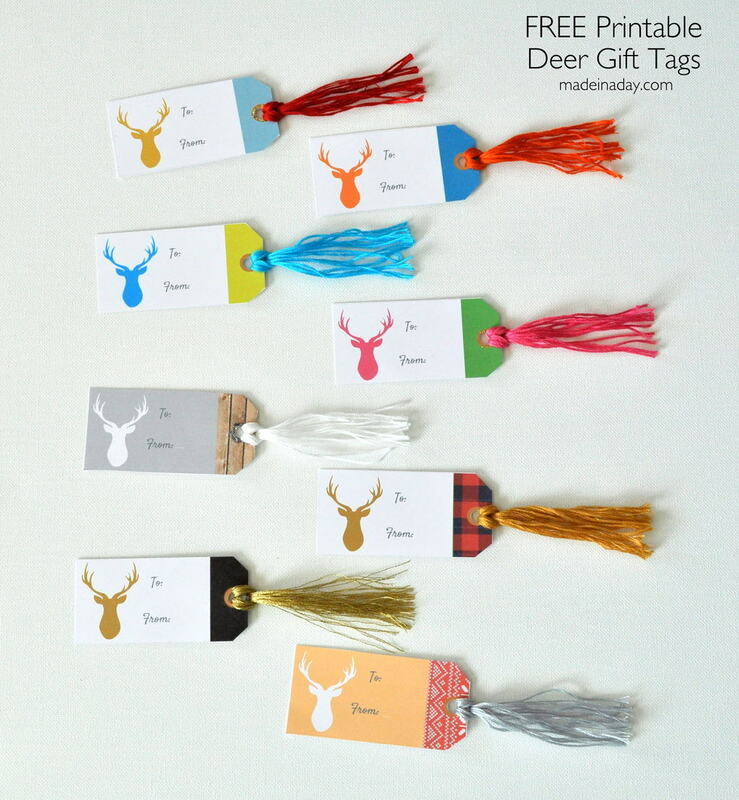 I made a variety of Deer tags for every style. 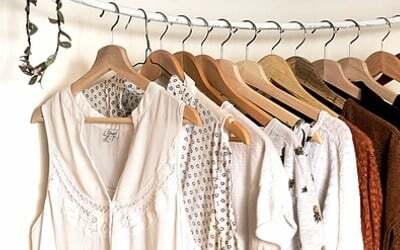 Included are the Jewel Color Block trend, the Christmas Sweater trend, the Rustic and Plaid trend, and the Black and Gold trend. The best part is they don’t have to used just for the holidays. 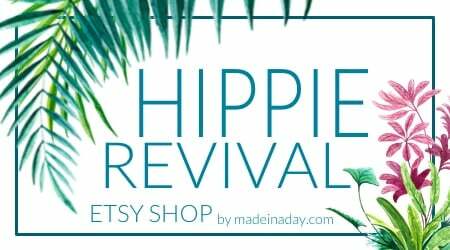 They are great for gifts all year long! Embroidery colors: DMC 25: Orange #720, Teal #3845, Pink #602, Blanca, Sparkly Gold #E382, Red #817, Gold #729, Grey #415. 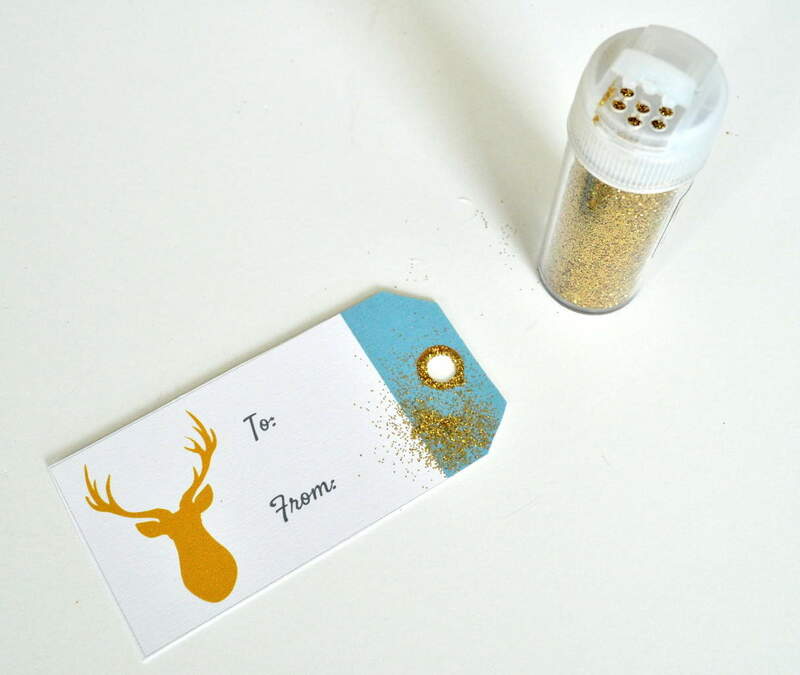 For added holiday sparkle, paint glue on the punch holes and sprinkle with glitter! Or Right Click the photo, Save and Print. Cut with scissors or photo cutter, make holes with a simple hole punch. Print on 8.5 x 11 cardstock. Cut out with sharp scissors or paper cutter. 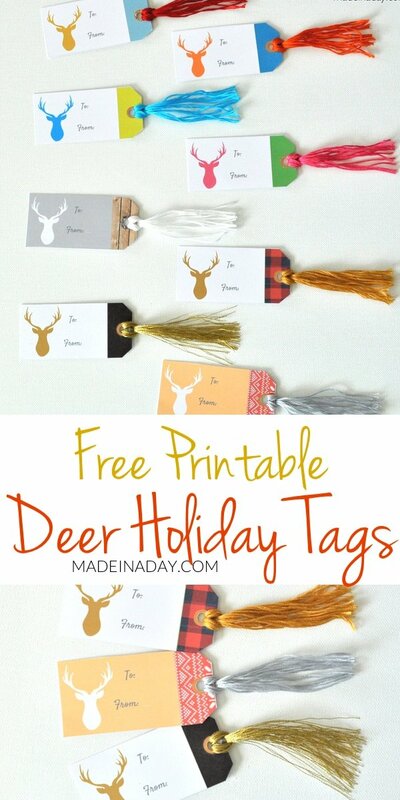 Check out my FREE Printable Hipster Gift Tags too! 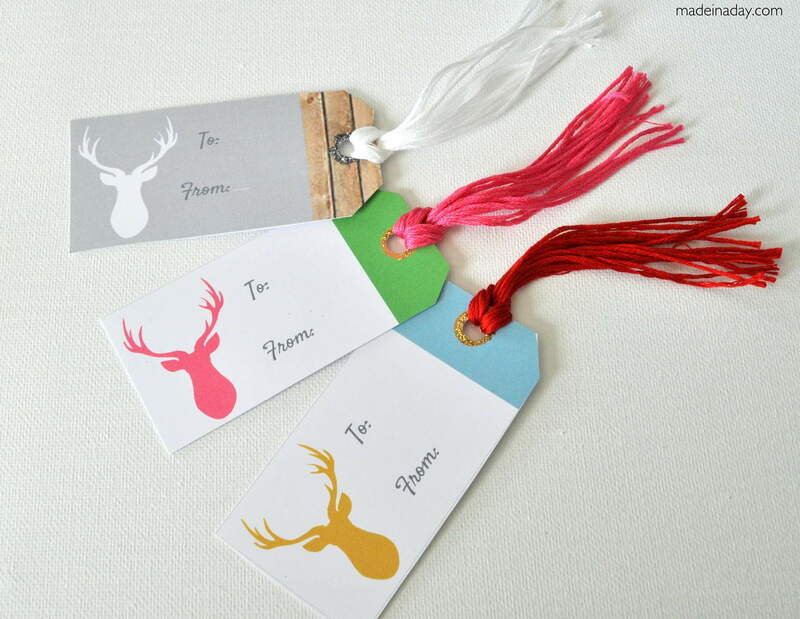 Love these little deer gift tags! 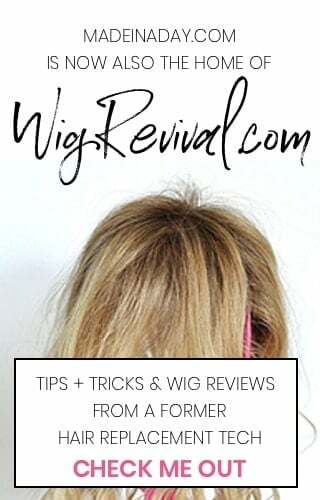 so adorable and I love the little fringe you added (yeah I am a fringe girl!). Pinning! These are so cute! I love how you added glitter to the hole in your photo! I just may have to try that too! 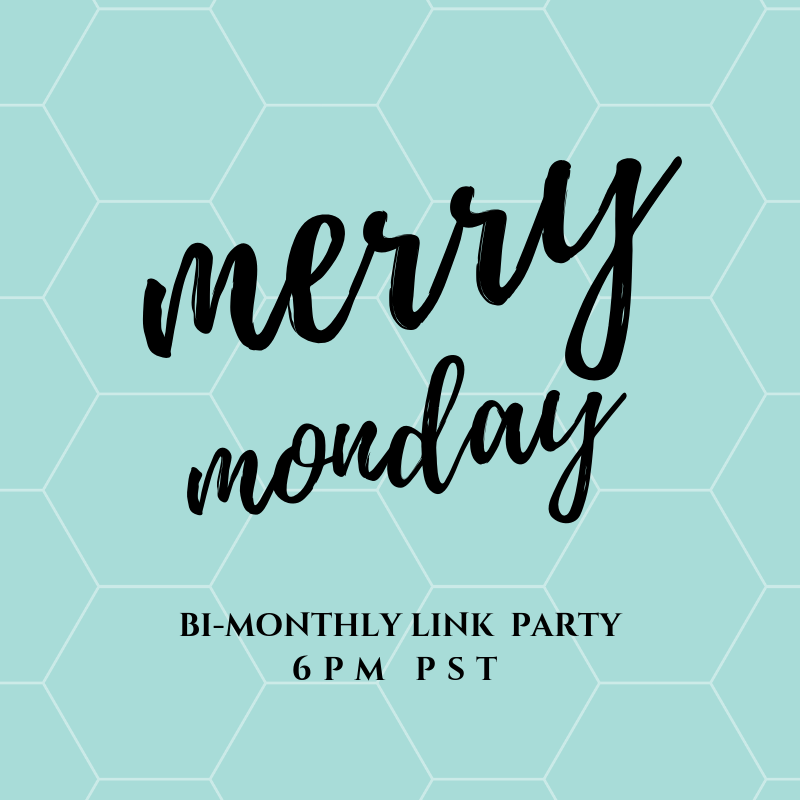 Thanks so much for linking up with me and my cohosts at Pin Worthy Wednesday! 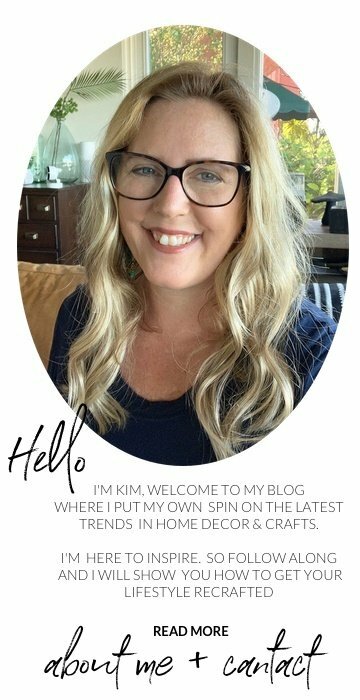 I’ve pinned this! These are super fun. I admit, I caught the deer bug. Pinned these for later. Oh thank you for these! 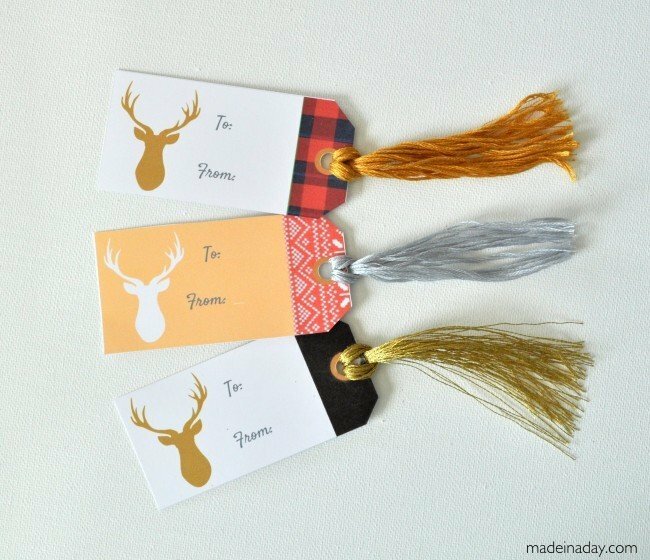 Was just thinking this morning (thanks to Pinterest) that I should get some gift tags this year, instead of just writing on the wrapping paper with a Sharpie, ha! 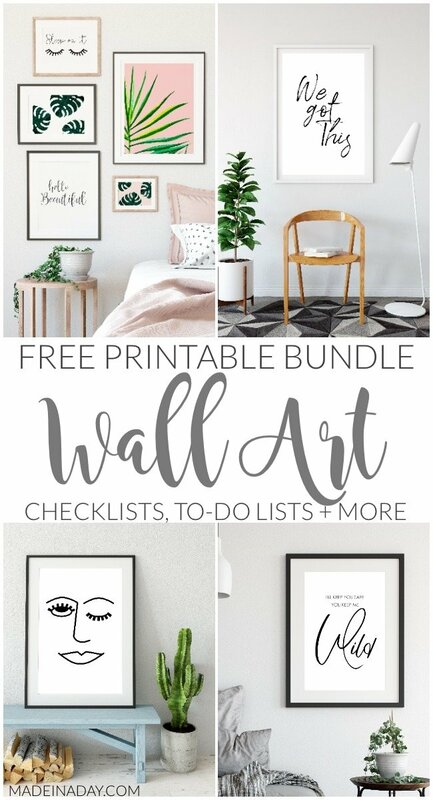 I love the deer thing everywhere, and this is a perfect way to use it!